Iraq Branch . Baghdad – Park Alsadoon Tel. 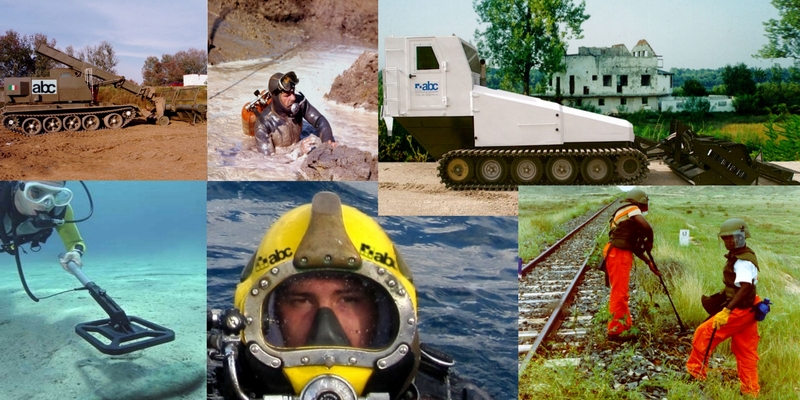 009647705017981 009647801041848 E-mail : info@abc-demining.com abciraq46@yahoo.com ABC for Demining & UXO Headquarters ITALY – FIRENZE P.le Donatello, 4 – 50132. Tel.Fax 0039 0552345709 Mob. 0039 3661231010 e-mail : ganucci@anchorgroup.it C.F. P.IVA : 06071170481. Iraq Branch .Baghdad – Park AlsadoonTel. 009647705017981,009647801041848 E-mail : info@abc-demining.com,abciraq46@yahoo.com ABC for Demining & UXO Headquarters ITALY – FIRENZE P.le Donatello, 4 – 50132.Tel.Fax 0039 0552345709,Mob. 0039 3661231010 e-mail : ganucci@anchorgroup.it C.F. P.IVA : 06071170481.